Where did you get those undies? To prepare for wildland season in the West, the famed Missoula Smokejumpers recently purchased a half-dozen new Rookie fire hose rollers. The Missoula Smokejumper Base is located at the Aerial Fire Depot by Missoula International Airport in Missoula, Montana. The base is situated adjacent to the Region One Fire Cache, the Interagency Fire Science laboratory, and the Northern Region Training Center. Firefighter Training with Training Specialties Inc.
Deschutes River Manufacturing returns to TEEX in July to assist with firefighting instruction in conjunction with Training Specialities Inc. Part of the Texas A&M University system, TEEX's Emergency Services Training Institute instructs more than 81,000 emergency responders from all 50 states and 45 countries each year. Rookie Sidekicks we donated to TEEX are used every day at their Brayton Fire Training Field, the largest live-fueled firefighter training facility in the world. Although we have a distributor in Canada and several customers there, we recently shipped our first Rookie Sidekick All-In-One Electric to a customer outside of North America - an engineering supply company based in Singapore that serves oil company customers in Malaysia. With invaluable assistance from the Crooked River Ranch Fire Department, we recently produced a training DVD covering basic operation for each model of the Rookie Sidekick, plus the Rookie Reloader. Deschutes River Manufacturing donated a Rookie Sidekick gas (rolls up to 3" dia. fire hose) to the CRR FD, which also purchased a Rookie Reloader to complete its hose management system. Click here to view an excerpt from the DVD - and to see other videos of the Rookie Sidekick in action. • Anderson Township Fire & Rescue (near Cincinnati, Ohio) purchased a Rookie Sidekick after a 30-day trial. • At the Northwest Fire & Rescue Exposition, Kittitas County Fire & Rescue in central Washington bought a Rookie Sidekick on the spot and wheeled it out of our booth. Our distributor Type One made the sale. • Department of Energy contractor Fluor-Hanford in Richland, Washington recently purchased a Rookie Sidekick Gas for the DOE's Hanford Site. • The Canadian Department of Energy in British Columbia bought an All-In-One Electric and portable stand. Our distributor in the Great White North, Columbia Fire & Safety, made the sale. • Georgia-Pacific in Alabama joined our customer list with a unit sold by HC Services in Laurel, Mississippi. • Cramerton Volunteer Fire Department (near Charlotte, North Carolina) added a Rookie Sidekick All-In-One Gas to its essential firefighting gear. (Bend, OR) Plus, last chance to snap up discounted 4 Peaks Music Festival passes. Ending July 1 (that's one week from today! ), Early Bird passes save festivarians $12 - just $76.50 for two-day festival admission and camping. Prices will bump up to $88.75 - still a bargain for this line-up of national touring band and local favorites. Click here for the new issue of the 4 Peaks Festivarian, packed with the insider's low-down on the people, the music, the Bend beta and the goodness. Get in on the fun - sign up for the Festivarian here. 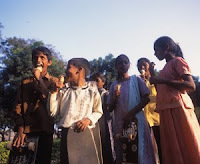 (BEND, OR) During business hours on Monday and Tuesday, June 23 and 24, Thump Coffee will be playing local photographer and filmmaker Nathan Gray's "Smile," a documentary film about teaching kids to skateboard in India. "Smile" will be submitted to the Bend Film Festival this year. For more about "Smile," visit grayghostrider.com. Thump Coffee is located in downtown Bend at 25 NW Minnesota Ave. For details, visit ThumpCoffee.com or call 541-388-0226. (Bend, OR) Unless you're one of those free-spirited sorts who go commando style 24x7x365, you occasionally buy underwear, lingerie and other undergarments (or someone buys them for you). Here's your chance to share what you like and dislike about the experience, while also helping an Oregon-based, boot-strapping start-up get a leg up (and possibly winning a few bucks in exchange for a few minutes of your time). Please take this brief online survey - and pass the word along to friends and family. When it comes to survey statistics anyway, bigger is definitely better. (Bend, OR) Kate Wells is killing the new 4 Peaks Music Festival newsletter, The Festivarian! Check out the first issue here - it's fun to read and packed with good info, including band profiles/previews, locals tips on cool places to visit and things to do in Central Oregon, info about nearby dog boarding options (sorry, no dogs allowed at the festival), the latest press about the festival and more. Sign up for the 4 Peaks Music Festival Festivarian, and you'll be the first to know about new bands added to the line up, and you'll get all beta you need to get the most out of your 4 Peaks experience. Second Round of Early Bird Discount Tickets Going, Going . . .
(BEND, OR) Bend’s 4 Peaks Music Festival returns bigger and better this year, with 20 bands and 80 acres of music, food, beverages, crafts, kids fun and camping. But the chance to buy discounted festival tickets ends soon. Festival-goers can save $12 by purchasing specially priced tickets now for $76.50, which includes two-day festival admission and camping. Prices will then bump up to $88.75 without notice as the festival nears on July 25-26. For details, visit www.4peaksmusic.com. Tickets are available at Ranch Records in downtown Bend, or at www.frontgatetickets.com. Vendors interested in reserving booth space should contact Will Nash at 541-788-0314 or will AT 4peaksmusic DOT com. 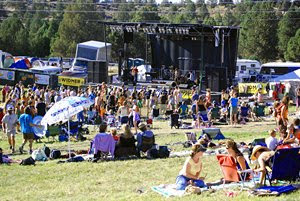 The 4 Peaks Music Festival information hotline is 541-382-8064. Bands are still being finalized, but the line-up promises even bigger headliners than last summer, while still featuring local acts. Tentatively, the band roster consists of Tea Leaf Green, Zilla, Hot Buttered Rum, Everyone Orchestra, Blue Turtle Seduction, Poor Man's Whiskey, Flowmotion, Moon Mountain Ramblers, Izabella, Acorn Project, State of Jefferson, Brent Alan and His Funky Friends, The Grain, Swampthang, Masala Mostest, Rising Tide, Black Strap and North Channel. (Bend, OR) "We're helping firefighters enjoy their retirement," is how David Johnston, inventor of the Rookie Sidekick go-anywhere motorized fire hose rollers, recently described his company Deschutes River Manufacturing's mission. By eliminating some of the grunt work from this already physically demanding profession, the Rookie Sidekick helps save wear-and-tear on firefighters' bodies and prevent injuries that can mean the difference between retiring with debilitating chronic pain or actually enjoying an active retired life. Michelle Alvarado of Wahoo Films in Bend produced this video, which is an excerpt from a training DVD demonstrating the use of every Rookie Sidekick fire hose roller model and the Rookie Reloader for transporting and re-decking hose. Alvarado donned the turnouts and got as close to this large live fire training exercise as the fire marshal would allow. The Jackalope Grill presents a special winemakers dinner featuring Domaine de la Terre Rouge/Easton Wines winemaker Bill Easton on Tuesday, June 24. Chef Timothy Garling's multi-course menu will be paired with a selection of the best wines from California's Sierra Nevada foothills. Easton produces Rhone varietals under the Domaine de la Terre Rouge label, and his other wines (Sauvignon Blanc, Cabernet Sauvignon, Zinfandel) are bottled with the Easton Wines mark. He is a leader in the California Rhone varietals movement, which includes Rousanne, Viognier, Gernache, Syrah and Mourvdre varietals. Cost is $90 per person, including gratuity. Seating is limited and reservations are required, please call 541-318-8435, or visit www.jackalopegrill.com. Cooking Class: Allyson's Kitchen "Foods of the Season"
Cooks of all abilities are invited to learn how to take best advantage of summer's fresh bounty with Chef Timothy Garling's "Foods of the Seaon" cooking class at the Bend location of Allyson's Kitchen on Sunday, June 22. The Jackalope Grill's Chef Tim will demonstrate Smoked Salmon Rilletes with Dilled Yogurt and Pork Skewers with Avocado Tzatziki, Creamy Fettuccine with Sausage, Olives and Broccoli Rabe. For the main course, the class will prepare Lamb Chops with Asparagus and Feta Salsa Verde and an easy-to-make side dish of Orzo with Asiago Cheese. And for dessert, students will learn how to make a Chocolate Budino, a moist almost gooey, chocolate cake, served with Banana Chocolate Chunk Ice Cream. Cost is $65, and payment is due upon registration. Space is limited. For registration and details, call Allyson's Kitchen at 541-749-9974, or visit www.allysonskitchen.com. Chef Tim Throws Down for Bite of Bend Iron Chef Competition! Chef Tim Garling will face off against seven local chefs starting Saturday, June 21 at noon. Finals start at 11:00 am on Sunday, June 22, and the winner will go head-to-head with last year's winner, Chef TR McCrystal of Jen's Garden. For Bite of Bend details, go to thebiteofbend.com. 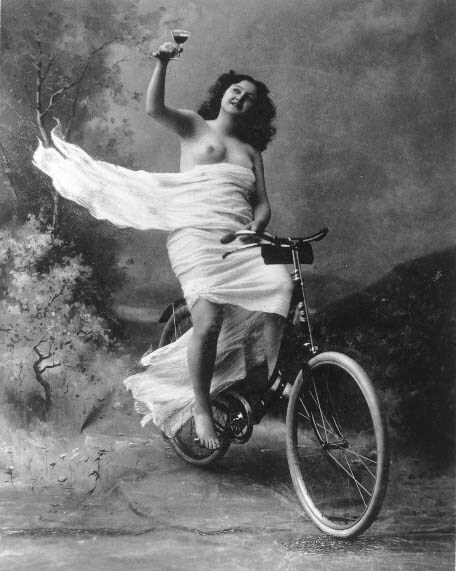 Women Tasting Wine returns to The Jackalope this month on Monday, June 23 at 4pm. 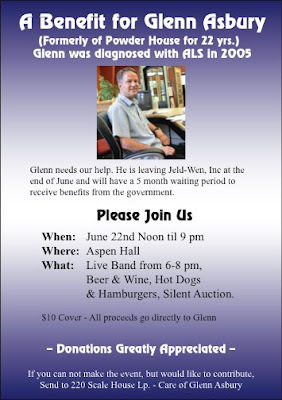 For more information please contact Diane Sienko at Bend Wine Cellars: 388-7564. The Jackalope Grill is located at 1245 SE Third St. (S. Hwy 97 Business) in Bend, Oregon. For reservations, call 541-318-8435 or visit www.jackalopegrill.com. Greetings friends and fellow snow lovers! A group of local backcountry skiers and snowshoers is working with the Forest Service to secure a Backcountry Recreation Zone that encompasses all of Tumalo Mountain. If successful, this effort will make all of Tumalo Mountain – including the summit bowl – a non-motorized recreation area. This discussion has come about in conjunction with the Forest Service’s proposal to build a new snowmobile parking area at Kapka Butte, at the intersection of Century Drive and the road to Sunriver. The Kapka Butte lot would significantly increase the parking capacity for snowmobile users, and result in a marked increase in the number of snowmobiles in the backcountry surrounding the Century Drive corridor. As recreationists who prefer a quiet, human-powered backcountry experience, our group feels strongly that the Forest Service should compensate for this increase in motorized capacity by designating more area for non-motorized use only. We do not oppose snowmobile use, but feel that segregating motorized and non-motorized areas is the best way to manage conflicts in the backcountry. This is our best opportunity in years to establish better management on Tumalo Mountain. For this effort to succeed, we need to show the Forest Service that there are a lot of us who think we need more accessible non-motorized winter recreation terrain. 2) Add a thoughtful comment to the Forest Service in the comment box. The site also includes a map of the proposed area, and a statement of rationale recently submitted to the Forest Service. It is important that we demonstrate support for the Tumalo Mountain Backcountry Recreation Zone NOW. The Forest Service will consider the proposal as part of its deliberations over the Kapka Butte project this Summer. Please take two minutes to add your name to the list, and contribute to this effort to secure a motor-free Tumalo Mountain. And pass on this email NOW! 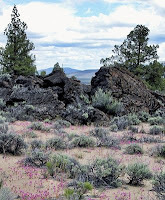 (Bend, OR) The Oregon Natural Desert Association invites you to celebrate National Trails Day on June 7. In partnership with Pine Mountain Sports and Friends of the Badlands we are proud to sponsor the first Badlands, Bluegrass, Burritos and Bitter National Trails Day event. $10 per person includes round-trip shuttle from Pine Mountain Sports, guided hike, live bluegrass music, burritos, and a complimentary Badlands Bitter by Silver Moon (for 21 and over). $5 fee for 3:00 p.m. onwards includes bluegrass music and burritos. RSVP required for hikes due to limited shuttle space. Visit Pine Mountain Sports at 255 NW Century Drive to reserve your space, or call 385-8080. 9:30 a.m. Shuttle ride from Pine Mountain Sports to the Oregon Badlands where participants will hike and learn about the area proposed as a Wilderness Area. Two separate hikes, 3.5 – 4 hours in duration, will depart from the Flatiron Trailhead and the Badlands Rock Trailhead. 2:00 p.m. Shuttles will return hikers to Pine Mountain Sports. 3:00 - 5:00 p.m. The day will conclude with a gathering with burritos, a special Badlands Bitter Double Bad brew from Silver Moon Brewing and live bluegrass music at Pine Mountain Sports. The party will also include a short program presented by David Eddleston of Friends of the Badlands, and a raffle with prizes donated by Pine Mountain Sports. (BEND, OR) Bistro Corlise’s monthly French regional wine dinner in June offers diners and oenophiles a rare opportunity to taste two 1988 Bordeaux’s in the same evening from the same appellation. On Tuesday, June 24, Chef and International Sommelier Jason Logan presents an evening of culinary delights from the Bordeaux region of France. Seating is limited to 16 for this special five-course meal paired with regional wines. Cost is $175 per person (gratuity included). For full menu and reservations, visit www.bistrocorlise.com or call 541-385-6979. Bistro Corlise is located downtown Bend at 916 NW Wall Street. :: WHAT’S AN ISG SOMMELIER? To attain his certification from the International Sommelier Guild, Chef Logan had to blind taste 25 wines, accurately identifying the varietal, year, region and flavor profile. He is one of only a handful of ISG sommeliers in the United States who also boast extensive kitchen experience. 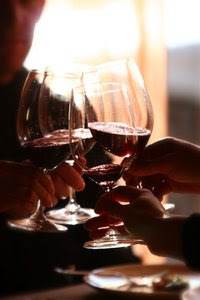 With such a finely tuned palate, Logan lets wine lead the way through the cuisine. He has devoted a large portion of his 14-year career to French-inspired restaurants, and his resume includes some of the top restaurants throughout the Northwest, including Caprial’s Bistro & Wine, Laslows, Campagne and Veil. A diversity of experience — as a baker, pastry chef, chef d'cuisine, sous chef, and executive chef — all comes together at Bistro Corlise. 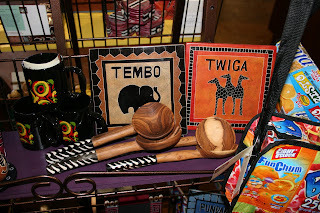 (BEND, OR) Vima Lupwa Homes, the Bend-based grassroots nonprofit founded by 22-year-old Malerie Pratt, is selling fair trade handcrafted items from Africa at a stand in the new Blue Moon Marketplace in downtown Bend. Proceeds from the sales will fund the monthly food budget for the dozen orphan children living in the Vima Lupwa Home in Zambia. Hand bags made from juice packages, hand-carved wooden bowls and salad implements and hand-woven bags adorned with shells are among the fair trade products available. "Fair trade" is the concept of paying producers in developing countries a price more closely aligned with the actual value of the goods in the U.S.
Blue Moon Marketplace, which celebrates its grand opening on First Friday, June 6, offers more than 50 unique shops under one roof. Blue Moon Market Place is located downtown Bend next to the post office (first floor of parking garage) at 61 NW Oregon Ave., Suite 101. For hours and details, phone 541-678-8064. For more about Vima Lupwa Homes, visit www.lupwahomes.org.